Home > How can you measure the value of a webpage? > How is Google PageRank different from Quantcast Measure? How is Google PageRank different from Quantcast Measure? 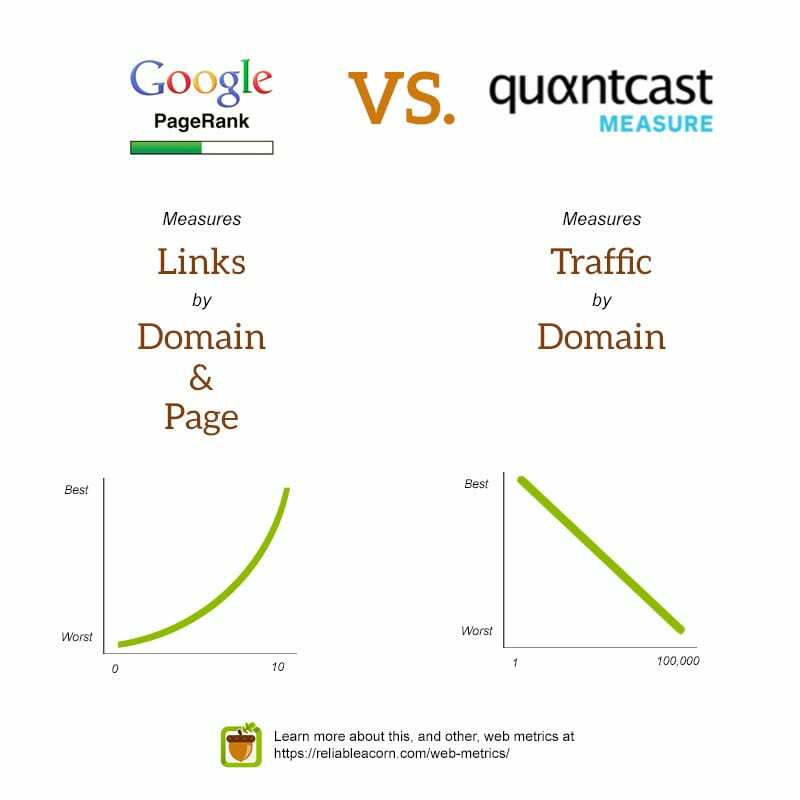 The difference between these two is Google’s PageRank is the calculation of a page importance based on number and quality of incoming links to a website while Quantcast Measure is computed based on traffic recorded to a website as calculated through the Quantcast tag which is put on a website. Mathematically, PageRank is an exponential scale between 0 and 10 while Quantcast ranks websites in order, by traffic- from 1 to 100,000 (typically).